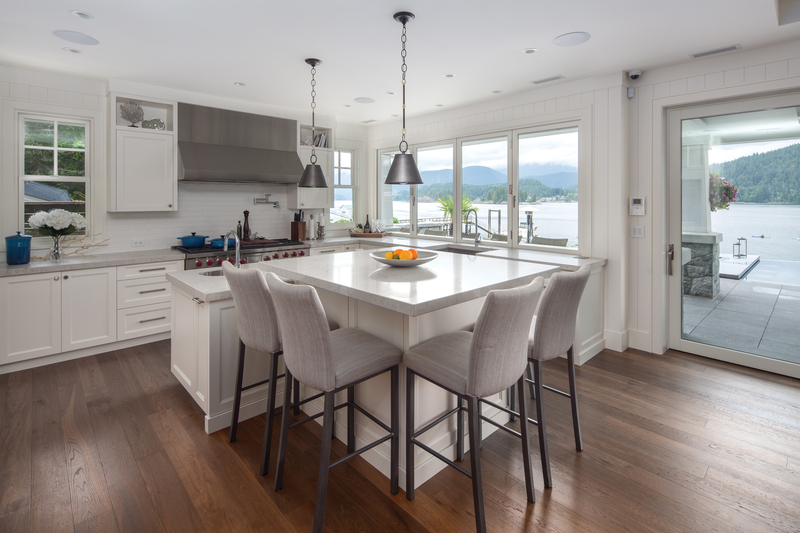 Kolbe Windows & Doors is showing some creative solutions for indoor and outdoor entertaining at the National Association of Home Builders International Builders' Show (NAHB IBS) in booth #C2519. Pass-through windows and expansive openings will be featured. 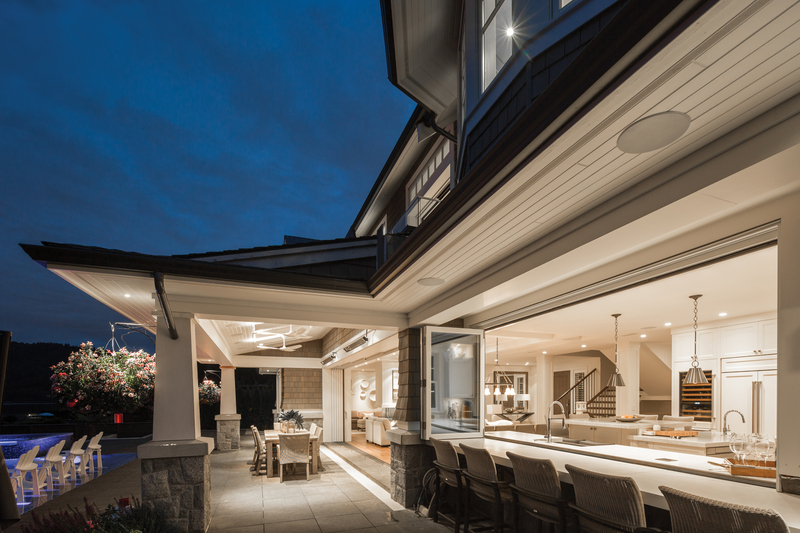 "As the interest in indoor and outdoor living continues to grow, a transformation toward outdoor dining and food preparation continues to evolve as well," states Cindy Bremer, vice president of marketing at Kolbe Windows & Doors. Outdoor seating and dining areas are one of the most popular outdoor elements requested by consumers when building or purchasing a home. "When you're looking for an innovative way to interact with guests both indoors and out, Kolbe's folding and sliding windows and doors bridge the gap between environments," says Bremer. 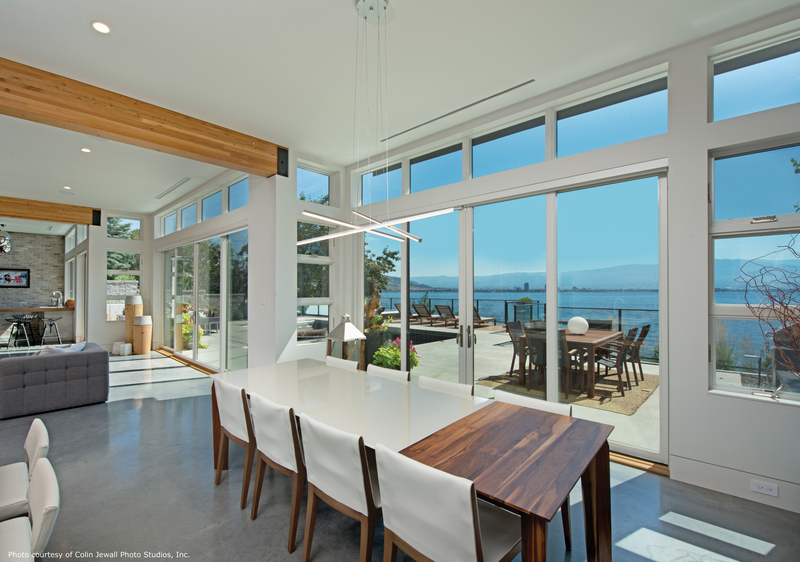 Kolbe offers pass-through windows and expansive opening products designed to enhance indoor-outdoor living. 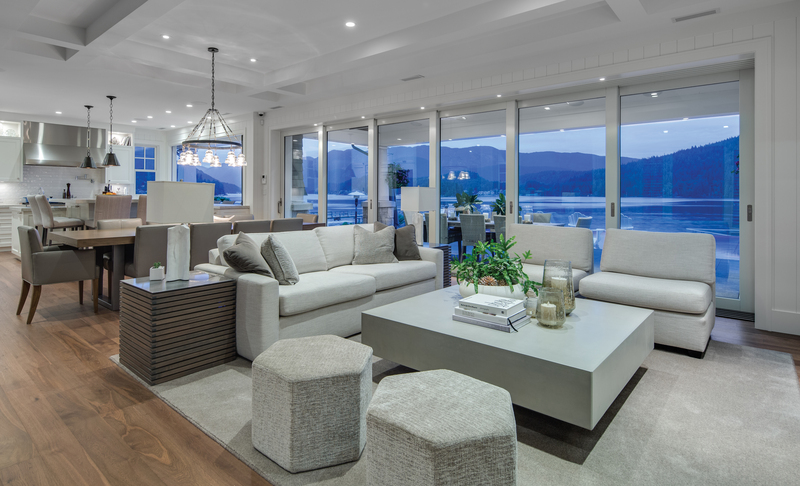 Folding and sliding windows, sliding patio, multi-slide, and TerraSpan® lift and slide doors are available in various styles with endless options and custom solutions. Some of Kolbe's custom solutions for enhanced indoor-outdoor living can be seen on display in booth #C2519. * A four-wide Ultra Series folding window has a brilliant Mediterranean exterior and a rich sapele wood interior finished with chestnut stain. Matte black hardware and an Aria handle complete the interior, while a pleated, retractable sliding screen allows ventilation and keeps out insects. Food and beverage can pass easily across the recessed weep sill to an outdoor counter. * A VistaLuxe Complementary quad sliding window has an emerald isle exterior with a clear-coated Spanish cedar wood interior. A matte black positive action lock engages automatically for convenient security, while an exterior pull-down retractable screen with BetterVue® mesh is hidden from sight when not in use. Precisely aligned stiles with matching sightlines and a low-profile sill complete the clean look. * An Ultra Series folding door with a pine interior and multi-point locks spans a 12-by-8-foot expanse. With an ultra pure white interior and exterior finish, the matte black Aria handle set and Toronto handle set on the access panel add striking contrast. A pleated retractable screen with BetterVue mesh lets in the view and ventilation, while keep out insects. * An Ultra Series TerraSpan lift and slide door unit creates a generous 15-by-10-foot opening for easy passage. The vibrant copper canyon exterior complements the clear-coated walnut interior and black anodized sill. A recessed matte black finger pull and 180-degree Inset Handle allow the doors to neatly pocket into the wall. * A VistaLuxe Complementary left-side-stacking multi-slide door spans over 15-by-9 feet. An onyx exterior with a pine interior painted coal black features a coordinating matte black narrow flush pull handle with dual-point lock. Summit Automation with touch screen and Bluetooth® technology allow convenient operation of the large doors. "Kolbe's continuous innovation leads us to sophisticated solutions for homeowners, architects and builders seeking high-quality products with functional design," says Bremer. 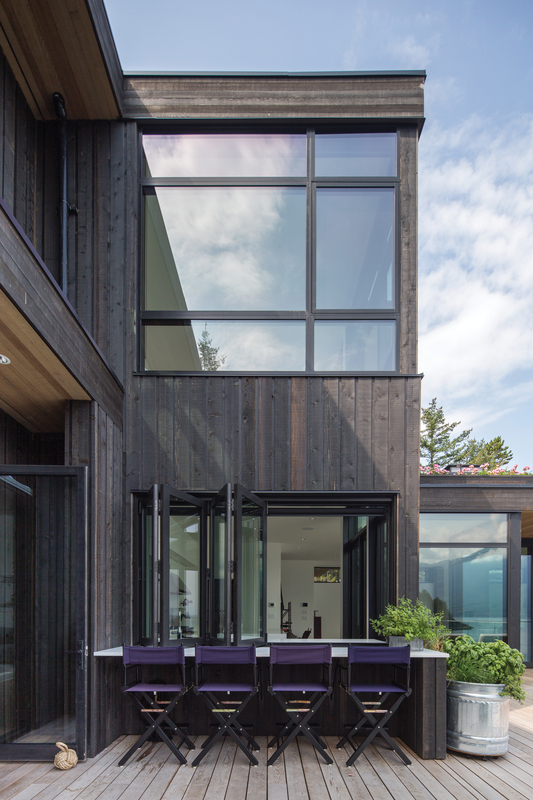 "Pass-through windows and expansive openings maximize spaces and help maintain an intimate connection with guests." For complete information and product details on Kolbe's Ultra Series, Heritage Series, or VistaLuxe Complementary folding and sliding windows and doors, please visit www.kolbewindows.com. What began in 1946 as a two-brother team has grown into an internationally respected manufacturing company. Kolbe Windows & Doors is one of the nation's leading manufacturers of windows and doors for residential and commercial markets. After more than 70 years, Kolbe products are best known for superior quality, custom craftsmanship, attention to detail, as well as innovative and unique designs.